it's my girls' world: Currently- around my birthday! Usually every year ON my birthday, I like to do a little currently- sort of like a state of the nation but in my case a state of the soul sort of catch up. However, I've been so busy with family being around (the last four left today) that I didn't get a chance to until now- the day after... here we go though!! thinking | that there's a lot of cake in this house from all the celebrations-- we are one of those families that have cake for a celebration if there is one and for the actual day! So yes, cake! drinking | water and more water. And tea! It's been so, so cold lately and with all the family we've been sitting around and chatting. Tea just warms the soul. reading |Girl, wash your face, it's a good one, very relatable and inspiring at the same time that's for sure! I also read Swear on This Life and I think I found a new binge worthy author. loving |My family. I had such a good time with them this weekend. They are a good bunch. watching |At this very moment, Little House on The Prairie with the family. So many shows to get caught up on as they've started back! A Million Little Things, This is Us, Grey's Anatomy. Oh and my girl Marie Kondo's show on Netflix. listening | We bit the bullet and we're doing Spotify Premium- so far it's wonderful. remembering | all the fun party details from my fortieth birthday bash this weekend. D did the most wonderful job. Exquisite food and so much fun! trying | to enjoy some carbs and sugar this week before I get strict again next week. wishing | for a little warmer weather. It's absolutely freezing this week. planning | to get ready for tax season. enjoying | my tribe. There are some very good people in my life. day dreaming | about Mexico in less than two months!! liking | that A has begun to read silently. Milestone!! starting | to ramp up for tax season. thanking | God for such a wonderful family, such great health and bountiful blessings as I turn 40! Happy birthday beautiful!!! You BETTER enjoy cake and carbs for your birthday!! The healthy diet can wait until next week!!! Hugs - I hope you had a celebration as amazing as you are!! Your birthday party looked amazing! Happy 40th! I just turned 40 in November too! "State of the Soul" I love that. Happy 40th to you! Lovely reflection on what is important (definitely the cake!). Happy Birthday! Happy, happy birthday, pretty lady. It all sounds so marvelous. I love it. Also, Spotify Premium - best thing EVER! I've had it for years, like since it first came out. Spotify really is one of my favorite things. Happy birthday! You make 40 look amazing! Props to D for making it a very fun celebration. Wishing you all the very best for the year ahead. 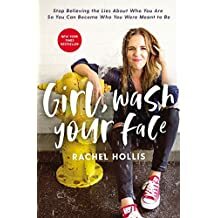 I need to add "Girl Wash you Face" to my reading wish list. My daughter started reading silently this past summer and it was such a GAME CHANGER!! !